I don’t really love macadamias. We tolerate each other. 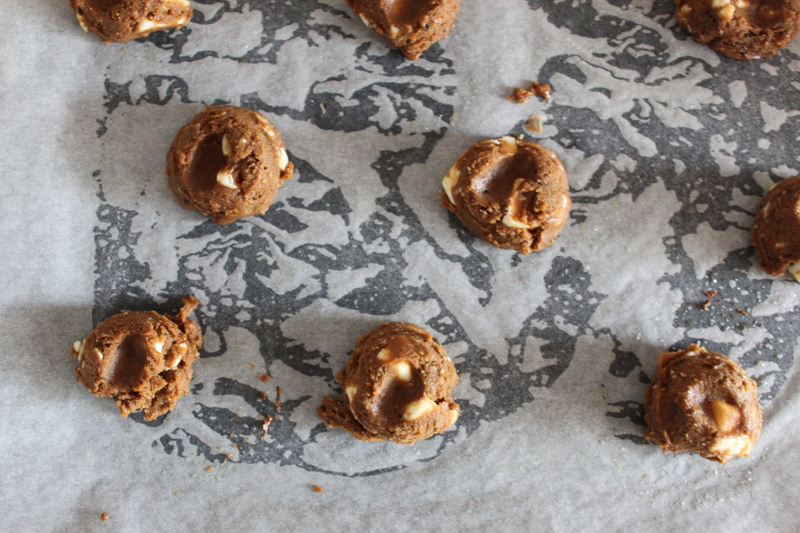 The main issue (with my life) is that white chocolate and macadamias are a pretty exclusive pairing when it comes to cookies, and whilst that is okay; it’s not perfect. Yep that’s the main issue! Well that and how much glitter is too much? It’s the big questions in life. And by starts I mean everything starts with chocolate. The recipe however does not. This base cookie is from my go-to lady when it comes to sugar, Joy the Baker. The base is browned butter which gives it a nuttiness that the crowd was split on. Some loved it, some thought it was overpowering. Lavender won for me, however the crowds were again split. 165g white chocolate chunks I used Lindt Lindor White chocolate pieces roughly chopped. Place a heavy bottomed pan on a medium heat and chuck in the butter. Stir and swirl until the butter has melted and turned a nutty brown colour. Once browned take off the heat. Whilst the butter is cooling measure out your dry ingredients. 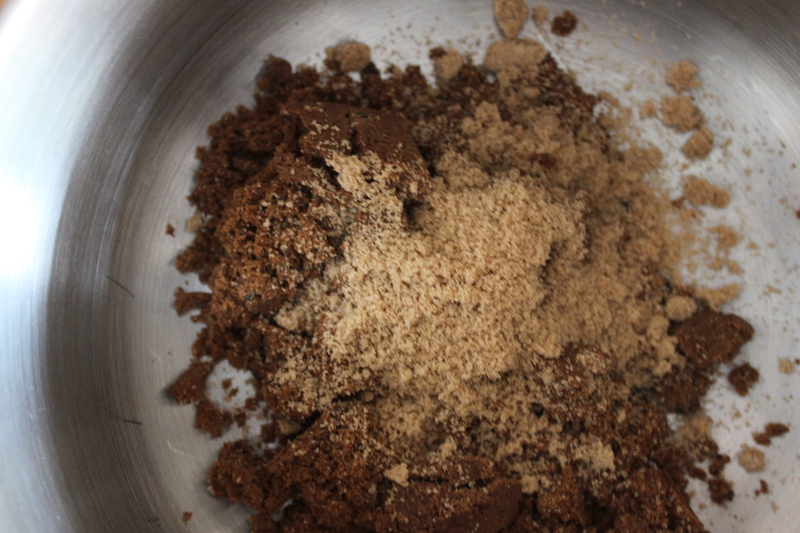 Place the sugar into a large mixing bowl and add the cooled sugar, stir until combined. Add the egg and stir until just combined. Add the milk and vanilla extract and stir again. 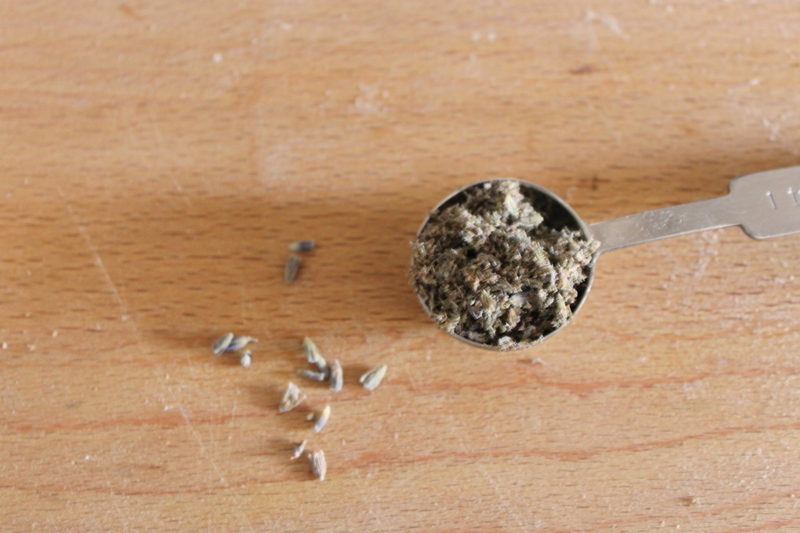 Scrape down the sides and then incorporate your dry ingredients mixing until just combined. 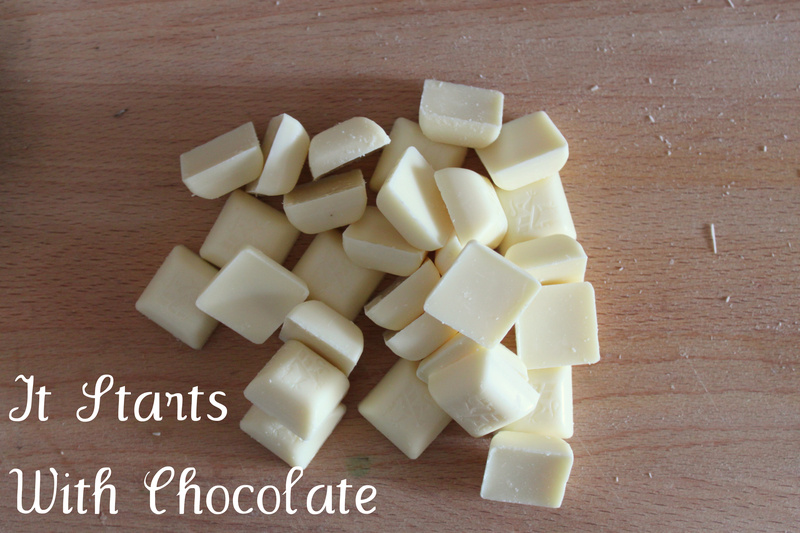 Fold in your chocolate chips and ingredient of your choice. Go with lavender! 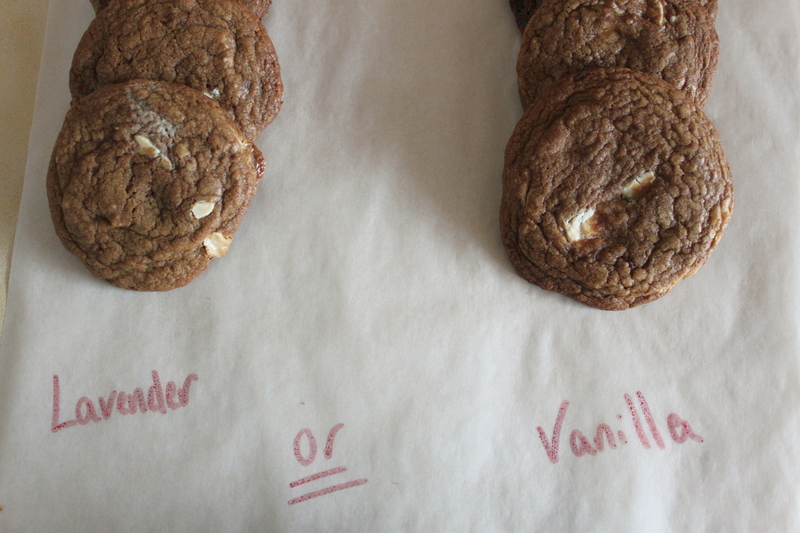 I use a small ice cream scoop to get the cookies evenly shaped then press my thumb down to flatten them slightly. If you chill them before they go in the oven then wont spread as much! Bake at 180C for 15 minutes-ish, until golden and still soft in the middle. You want them to be fairly soft when you bring them out as they will continue cooking whilst they cool. Next week I’m going in search of the chewiest cookie base around. And then adding white chocolate, lavender and vanilla!